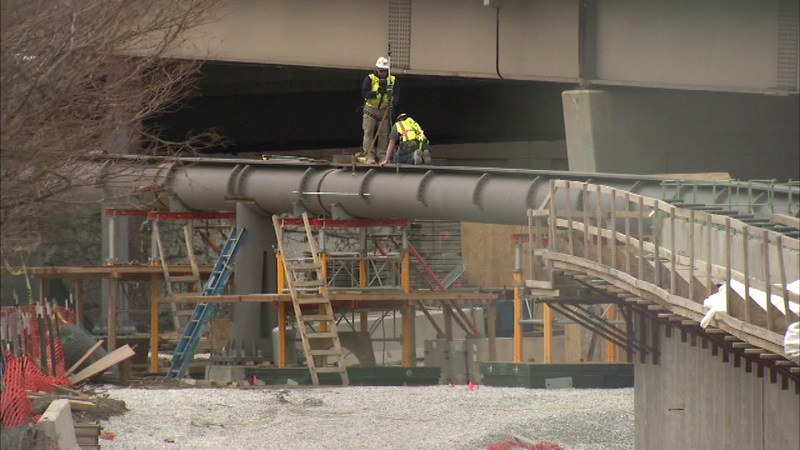 CHICAGO (WLS) -- Work is underway Monday on the Navy Pier flyover for bike riders and pedestrians in Chicago. When completed, it will run from the Ohio Street Beach to DuSable Harbor with Navy Pier in between. The flyover is designed to make the lakefront trail safer by moving it away from traffic and congestion on Lake Shore Drive. The project is expected to be finished by 2018.